Cambridge has really led me to do unexpected things – working on an earth sciences project, getting a degree in archaeology and now: becoming a journal editor! My favorite university society, the Hillwalking Club just turned 30 years old and not only was there a big celebration with current and past members, but also a journal to commemorate the anniversary. 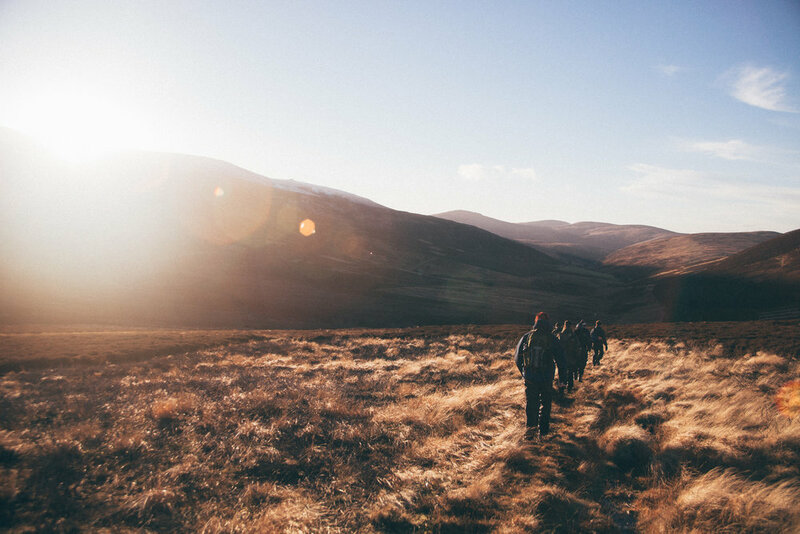 The Hillwalking Club was one of the best things in Cambridge, providing great company and a ton of adventures exploring the UK. Sadly, I missed out on the opportunity to become a committee member during my time in university, but I wanted to find a way to help out. So last year when things were starting to take shape for the 30th Anniversary Trip, I signed up to be one of the editors of the journal, with Michael Fordham and Alex Diggins joining me on the team. I’ve edited a magazine before – a few years ago I did a long trip through Spain on a grant from the university doing a photography project. At the end of the project, I printed a magazine with the photos from the trip. It was definitely a big learning experience and my first time thinking about photo layouts. For sure, I made many mistakes, but the end result still turned out quite nice. However, that was photos only, no text, so it couldn’t properly prepare me for the massive task this hillwalking journal turned out to be. That trip through Spain also resulted in this really cringy attempt at travel vlogging. The 30th Anniversary Journal contains trip reports, articles, poems, stories, photos and even recipes written by current members of the club and alumni. Michael and Alex were in charge of collecting those, editing the texts if needed and checking everything in the end. My task was taking all the raw material and shaping it into a journal. It was definitely a trip down memory lane! We decided where we wanted to get it printed after some research into UK printing companies, but then I had to find a way to actually create the printable files. While I do use Canva a lot for online materials and I love the easy templates it has, the files that come out of it are certainly not print quality and the bleed settings wouldn’t allow it to be printed in most places anyway. I quickly had to find an editing program that I could learn quickly and use without paying a fortune. After some online research I opted for LucidPress. There was quite a learning curve, but with experience in Canva and Photoshop, it wasn’t too challenging to understand. The main issue was the time pressure – so many articles arrived last-minute that we only had about a week to go from zero to print-ready journal, while of course I was still doing all my other work here in Spain. Lots of coffee and yerba mate, tons of emails, a bunch of youtube tutorials, very little sleep, many, many drafts and corrections later, we had a journal that was ready to print. David and I sent it to the printing company, choosing some very fancy paper and the nicest cover. Of course, we noticed a typo right after putting in the final order, but it was too late at that point. Later, another mistake came to light. We actually misattributed an article in the journal due to some confusion when people were submitting, but again, there is nothing we can do about that now. It was a great experience editing the journal, not just because it was a fun new challenge, but because it really showed me a different perspective. Most of the time I’m the photographer and maybe someone who writes stuff, but here I had to use other people’s writing and photos to create a coherent final product. It requires a very different mindset and a very different visualization than when taking photos. When taking photos, you have to make a single frame or a series of shots that fit nicely together. Here you have someone else’s photos and text and you somehow have to fit it all into a few A4 sheets in an aesthetically pleasing way. While I’m usually not a fan of sitting in front of the computer, this project was really fun and a real team effort with Michael, Alex, David and everyone else who contributed. Doing my part as the person designing and editing the journal allowed me to give back a little to the club that I owe so much to, and to be a part of the 30th anniversary celebrations even when I couldn’t go and join in person. Even better, a few weeks after the anniversary trip, I did have the opportunity to be in Cambridge shooting the Future: Hungary conference and I party crashed the end of the Hillwalking Club annual dinner, so I did get to see some old friends after all! 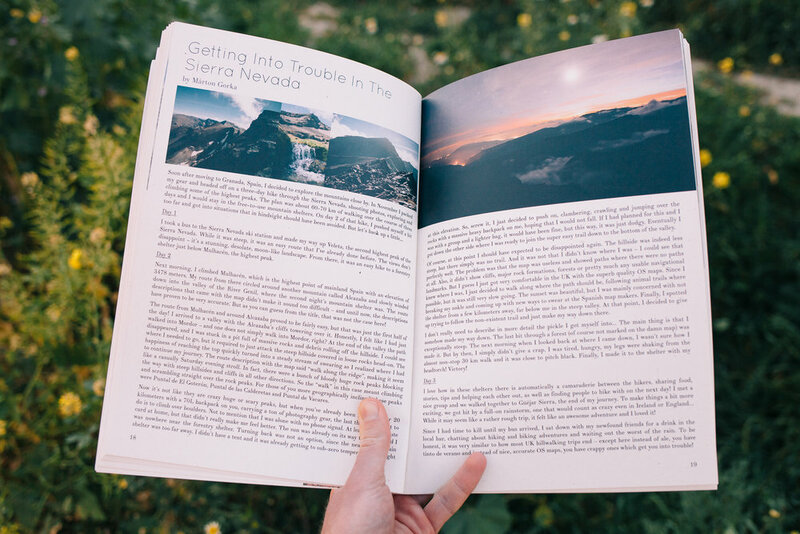 PS: Yes, I couldn’t miss out on putting at least some of my stuff in the journal, so I did an article about my adventures in the Sierra Nevada, as well as the recipe of my famous lime-chicken and couscous.